There are many variations of meatloaf. Just about everyone has put their own twist to the recipes. They are all good for a main course meal to be sure. But most of us know that when the leftover meatloaf is stored in the refrigerator overnight something magical happens. The next day the meatloaf is ready to make the most wonderful sandwiches. If you make a sandwich with meatloaf fresh out of the oven it is good to be sure but it is definitely not the same. It has to chill overnight to make the best sandwiches. With this recipe you can make five meatloaf patties without having to heat the oven to make an entire meal-sized meatloaf. 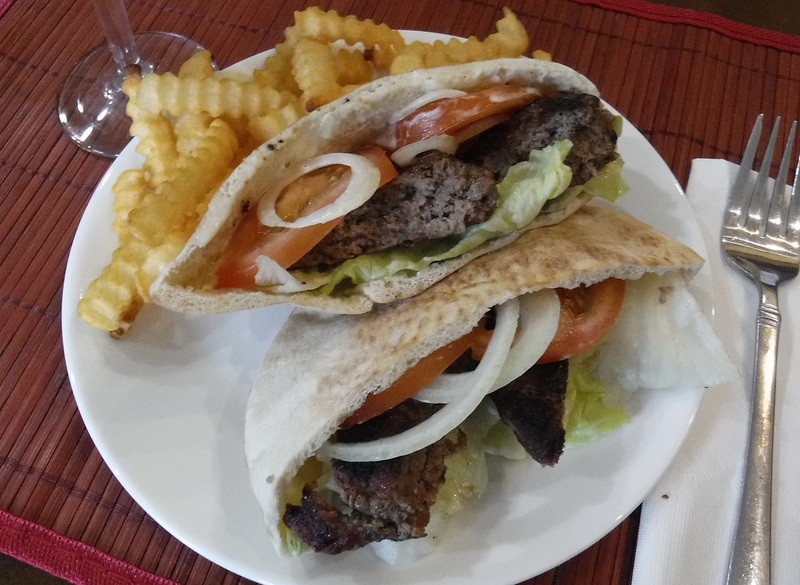 It has most of the traditional meatloaf ingredients but is grilled. Additional flavor comes from the crackers. 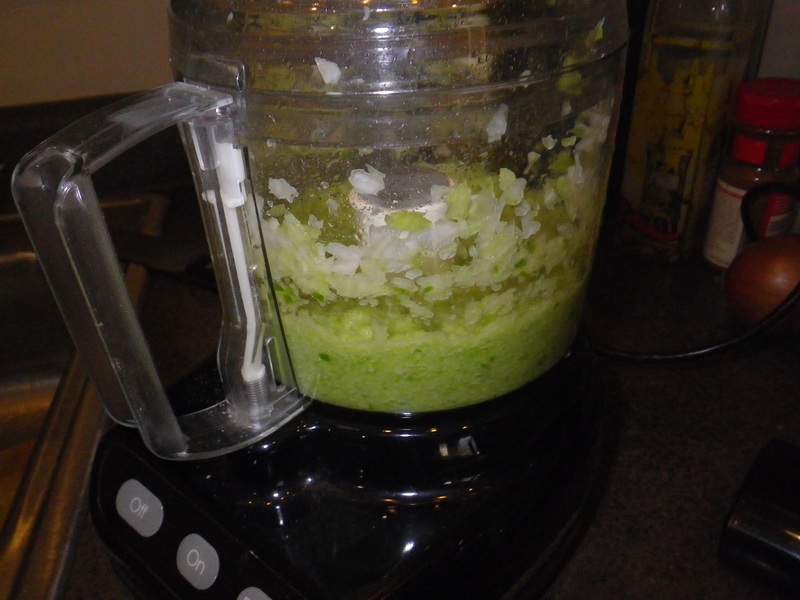 The pureed vegetables make for a smooth meat mixture that doesn’t fall apart. Make a batch and store in the fridge. When the urge strikes, slater a bun with mayo, add a slice of tomato and some lettuce and you have a delicious meatloaf sandwich in short order. Somne years ago I started making these for my late father-in-law. They would tide us over between meatloaf meals. 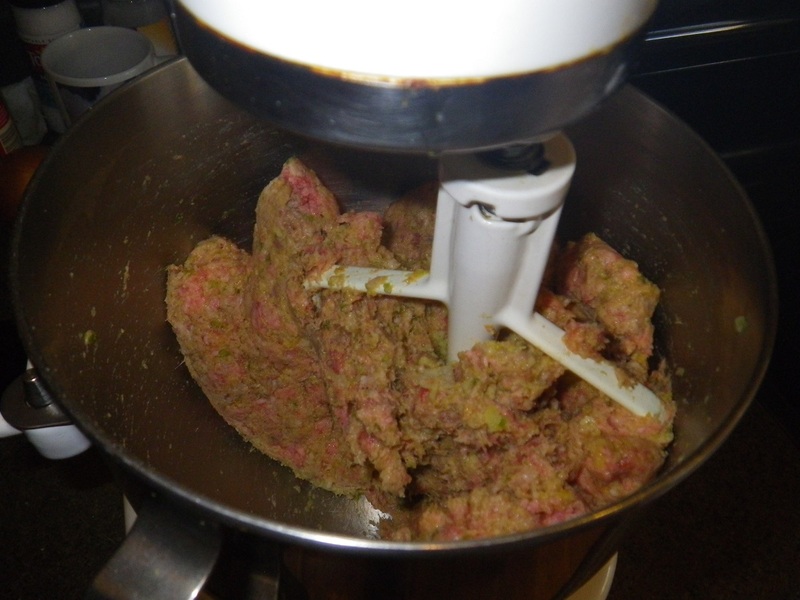 Puree vegetables in a blender or finely grate in a food processor; we don’t want big chunks in the finished meatloaf patties. Add the pureed vegetables to your mixing bowl. Break your stack of Ritz® Crackers into fine crumbs; beat with a rolling pin or use a food processor. 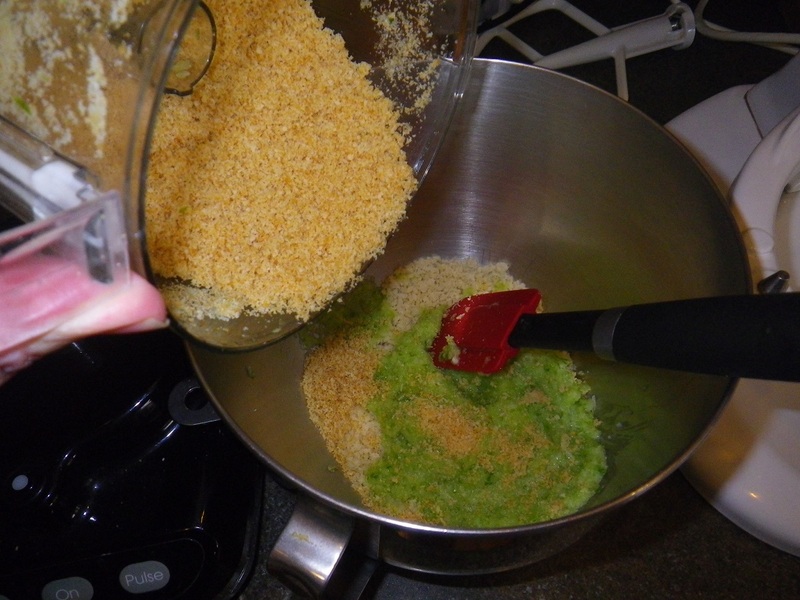 Add the cracker crumbs to the vegetable puree and mix. 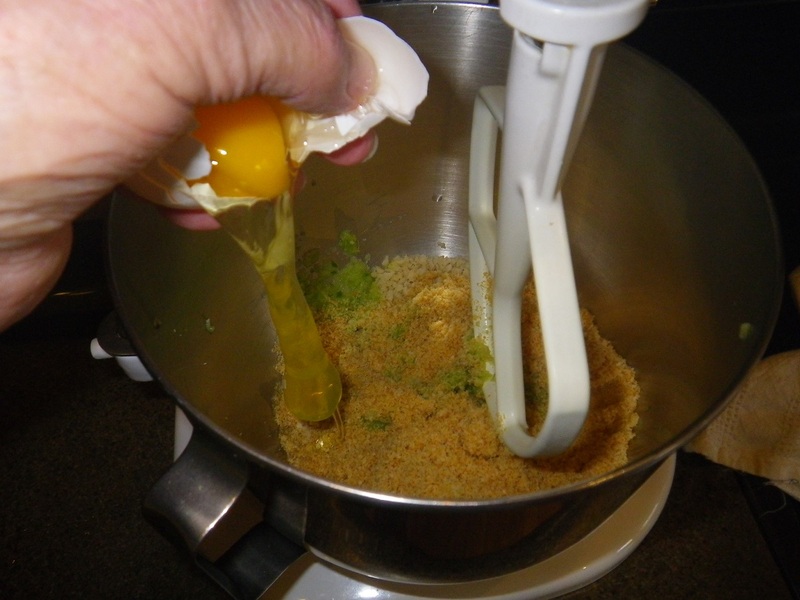 Add the eggs to the cracker crumb and vegetable mixture and continue mixing. 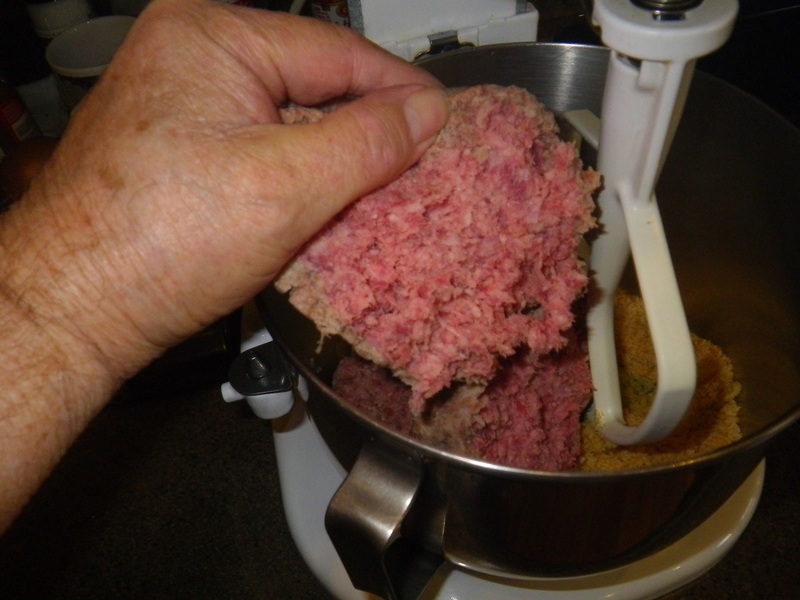 Add the meat, a bit at a time, to the mixing bowl and combine well. 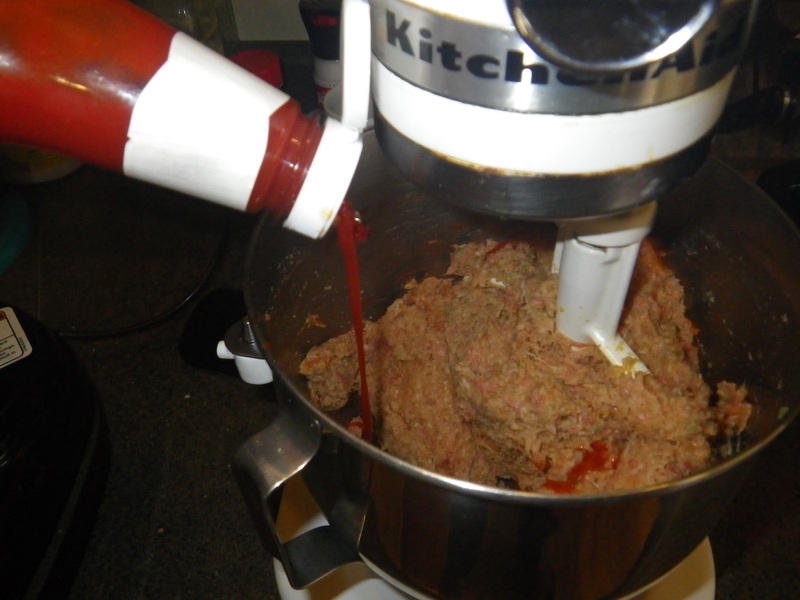 Add ketchup or tomato sauce as desired and continue to mix. Add desired seasoning and spices. Check your mixture. 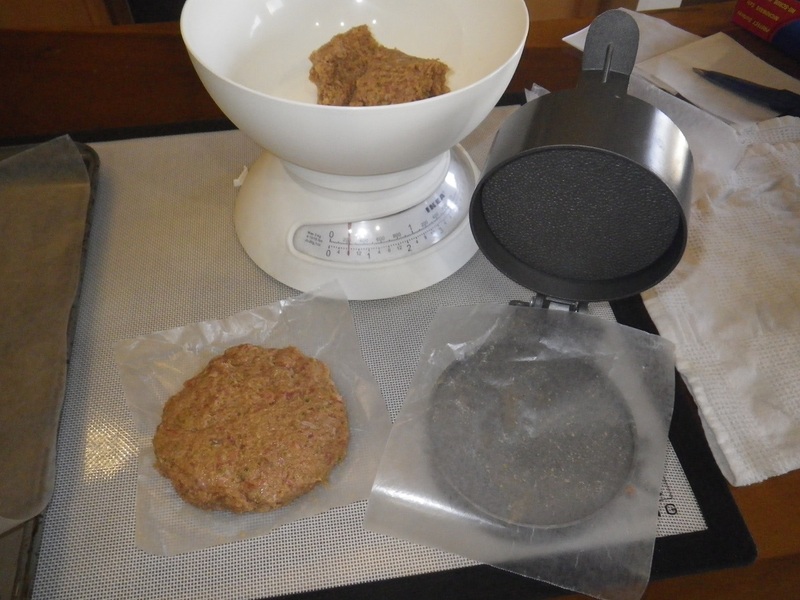 If it is too wet or loose to make good patties add some additional bread crumbs. 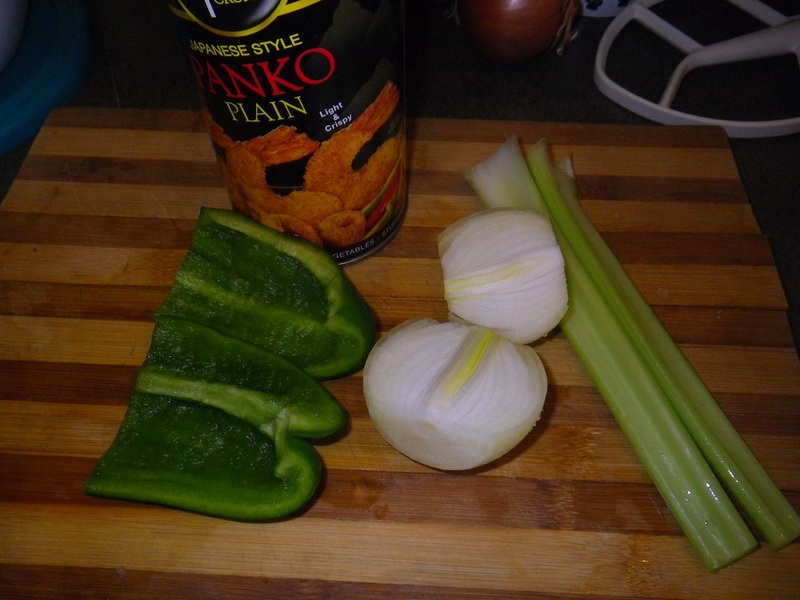 I think Panko works well for this task. Form into ½ pound patties. 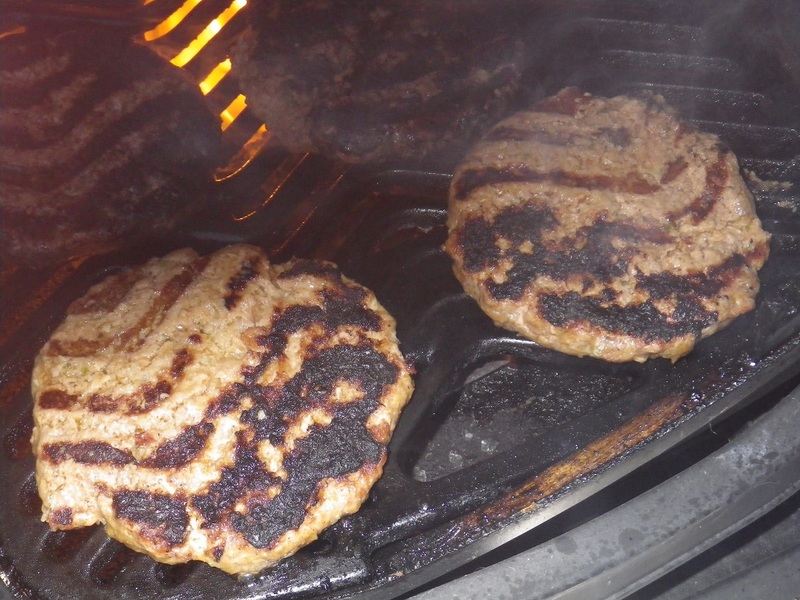 Moisture loss during cooking will make about a 1/3 pound patty which is just about right for a hearty sandwich. Cook over medium grill. Egg and bread in the mixture will char quickly. Cook for 4 or 5 minutes per side. Cooked a bit over rare, about 150° seems to work the best. Cool to room temperature on a rack to allow any last-minute grease to drain away. You could eat them now but they would just be so-so meatloaf patties. Put them in a covered container in the refrigerator overnight. 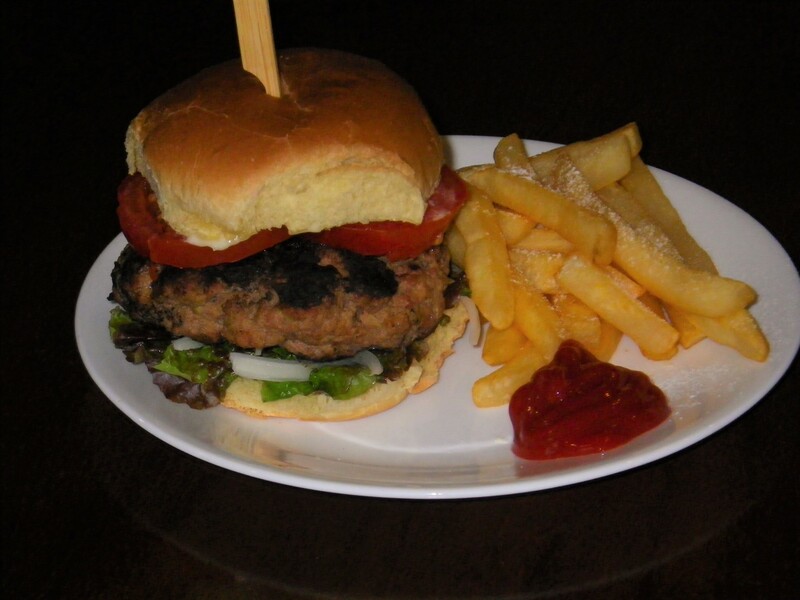 When ready to make your sandwich, allow the patty to come to room temperature but do not heat. Toast your bun, slather with mayonnaise, add some lettuce and a slice of tomato (or whatever you like to put on your sandwich) and enjoy! Hamburger buns work wonders with meatloaf sandwiches – it is almost as if they were made for on-another. 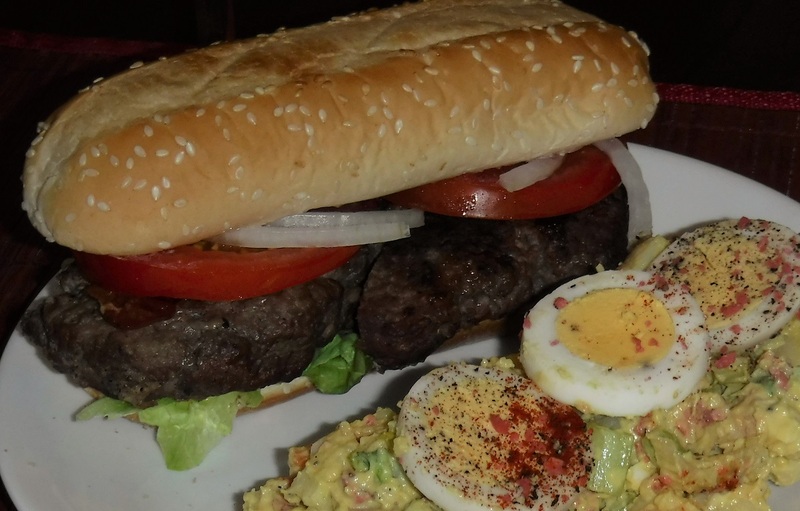 Other breads also make excellent grilled meatloaf burger sandwiches. How about on rye with some onions and cheese? Pita pockets also make for an excellent sandwich. The pocket helps hold all the goodies you might like to put on your sandwich.